MIT researchers has made it possible for a Blind Person to See. and possibly can navigate a room without assistance. which will certainly help the blind person to recognize faces. This Microchip is encased in titanium to prevent it from water damage. This chip will be implanted onto a blind person's eyeball. patient is required to wear special glasses fitted with a small camera. 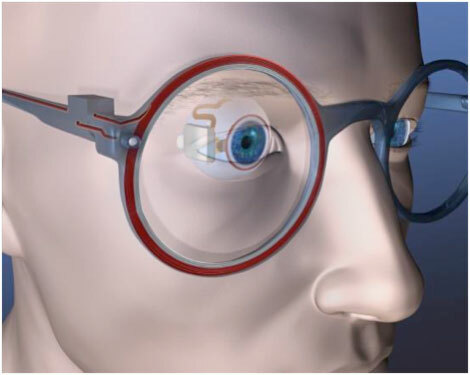 Technology behind this concept is that "small camera will transmit images to titanium-encased chip which further will fire an electrode array to the retina and it will simulate the optic nerve.